We all use internet in our day to day life for communication, file sharing,social networking and for lot of other reasons. But we are also aware of how privacy invasion is increasing day by day with increasing of Black Hats, even some sites also stores Cookies to track your online activity about what sites you are visiting so that they can show you relevant ads based on your browsing history. Apart from these there are lot of unknown online threats we are not aware of. I always make sure to keep my online accounts ,privacy and data secure by using lot of tools and techniques and i decided to share all these tools and techniques with you guys so that you can also make yourself hackproof (almost). 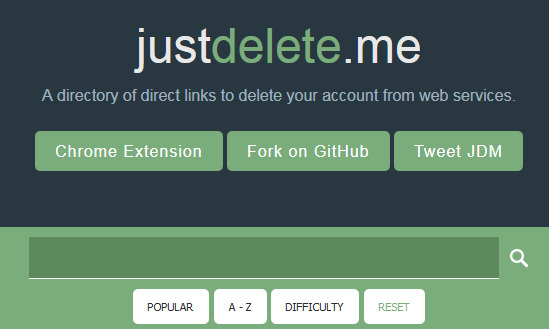 Some company make it really difficult to delete your account from their server Justdelete.me make it easy to do this for you, they generate url for you to easily delete your account from web services. Just click on the site name and it will generate url that will locate you to their account deleting section. Apart from this they also offer Fake Identity Generator from which you can Generate a fake name, address, date of birth, username, password and biography. Most of the time we blindly except the terms and condition ,privacy policies we are sharing without our knowledge which can contain our personal files and data that could be disposed by company worldwide. So what privacypal actually does they read all the boring parts like terms and condition for you collect information and give it to you in format which you can easily understand. 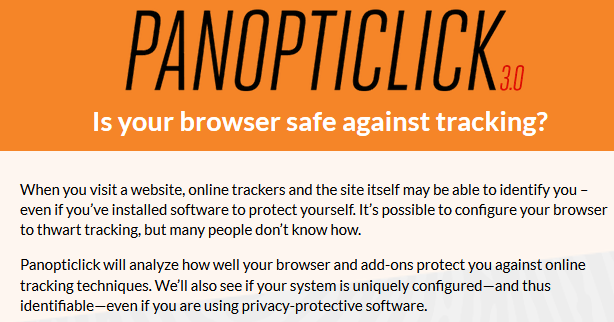 Panopticlick will check how your browser and another add-ons protect you from online tracking techniques. This is a good site for checking if you are leaking some information online that shouldn’t be reveal. 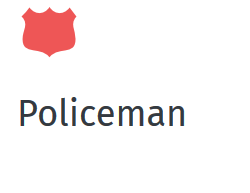 By using policeman you can control what web request are allowed on your browser. You can also setup custom rules for every Domain names and what type of resource requested. Apart from this, this browser add-on also protect you from cross-site scripting attacks. 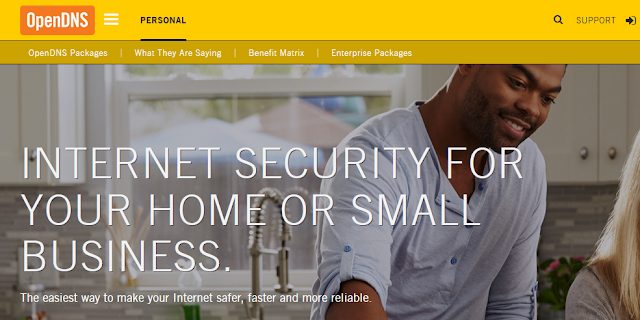 HTTPS Everywhere encrypts your communication with other website to make your browser much more secure. Many sites on the web offer some limited support for encryption over HTTPS, but make it difficult to use. For instance, they may default to unencrypted HTTP, or fill encrypted pages with links that go back to the unencrypted site. The HTTPS Everywhere extension fixes these problems by using clever technology to rewrite requests to these sites to HTTPS. 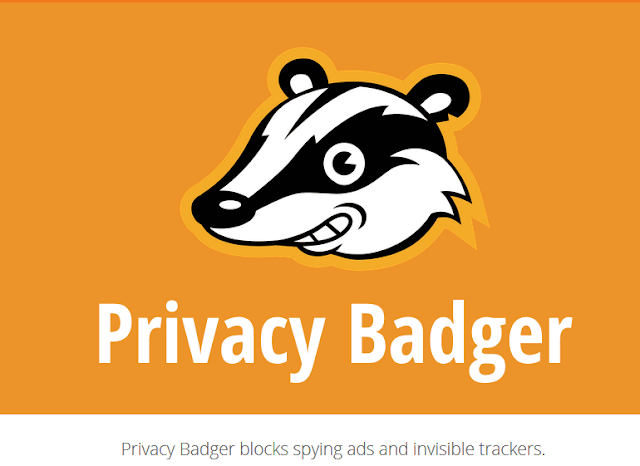 Privacy Badger is a free browser extension, their aim is to block advertisement and tracking cookies that do not respect browser’s “do not track”settings. It’s developer (EFF) says if an advertiser seems to be tracking you across multiple websites without your permission, Privacy Badger automatically blocks that advertiser from loading any more content in your browser. To the advertiser, it’s like you suddenly disappeared”. Nixory is not an add-on but it is a free and open source antispyware tool written in Python/PyGTK aimed at removing malicious tracking cookies from your browser. It currently supports Mozilla Firefox, Internet Explorer and Google Chrome. It runs on all OS, including Windows, Linux and MacOSX. OpenDNS provide you extra security by adding features such as phishing protection and optional content filtering in addition to DNS lookup, if its DNS servers are used. 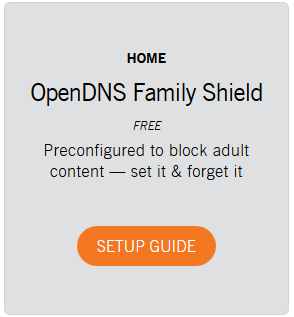 They also provide Adult content filter in their OpenDNS family shield just add their nameservers in your router DNS settings and leave the rest to them. 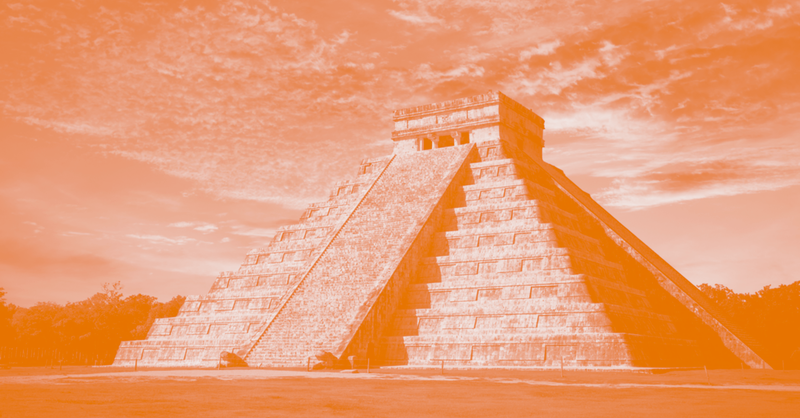 Similar to OpenDNS and fast ,secure and completely free DNS service co-founded by IBM provides end users robust security protections, high-performance, and privacy. 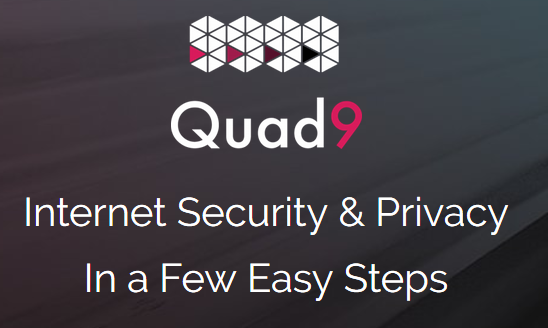 Quad9 blocks against known malicious domains, preventing your computers and IoT devices from connecting malware or phishing sites. Just add “9.9.9.9” to your router DNS settings and you are good to go. They don’t store any end user IP address on their disk nor they distribute outside of the equipment answering the query in the local data center. Signal is an free open source encrypted communications application for Android and iOS and also for Windows and Linux.Signal uses standard cellular mobile numbers as identifiers, and uses end-to-end encryption to secure all communications to other Signal users. The applications include mechanisms by which users can independently verify the identity of their messaging correspondents and the integrity of the data channel. 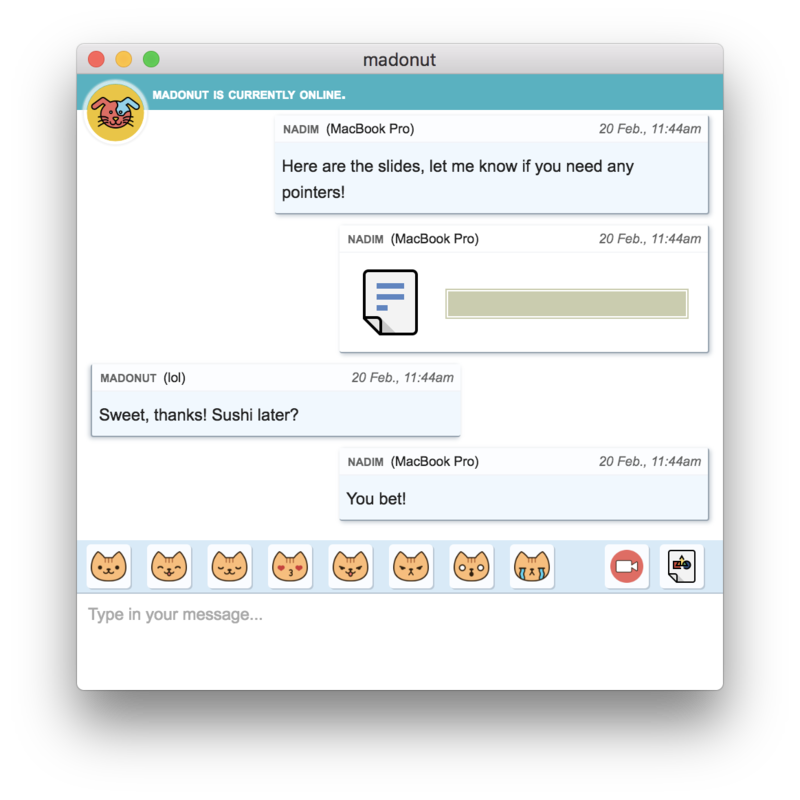 Cryptocat is an open source desktop application intended to allow encrypted online chatting available for Windows, OS X, and Linux. It uses end-to-end encryption to secure all communications to other Cryptocat users. Users are given the option of independently verifying their buddies’ device lists and are notified when a buddy’s device list is modified and all updates are verified through the built-in update downloader. 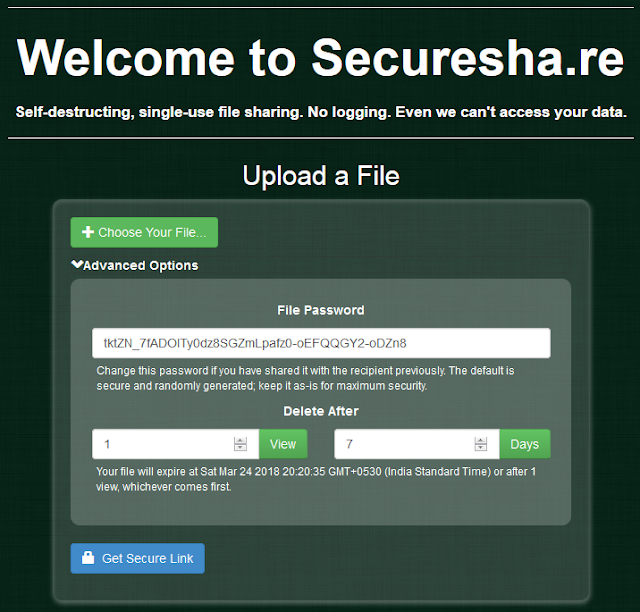 Secure share is encrypted file sharing service. They use 128-bit client-side AES encryption. They also generate a Long Random URL so our data can’t be found. 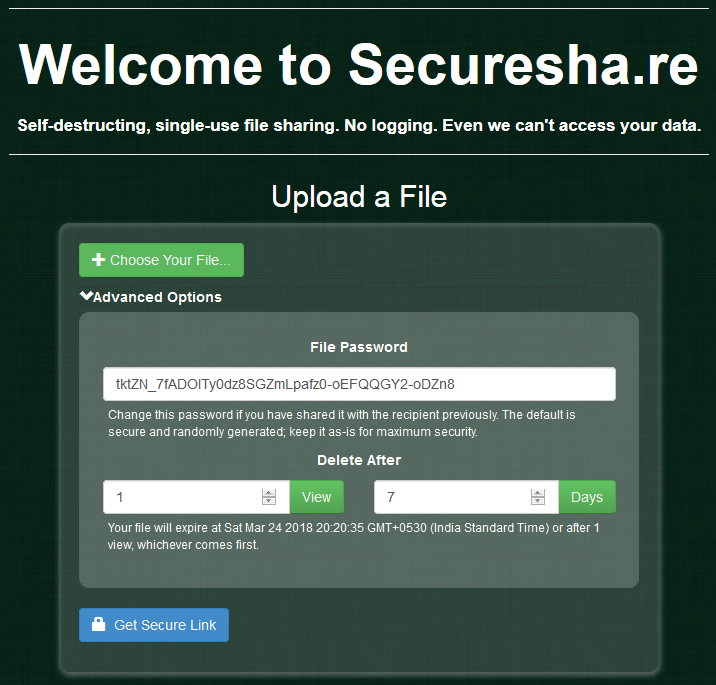 They also offer password protected file sharing so user need to know the password for accessing the file and password is strong cipher passwords so Brute-forcing the password is not possible . You can also set how many people view that file . 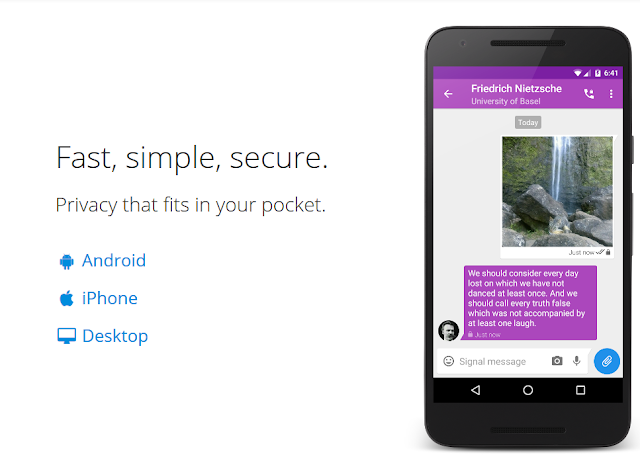 OnionShare lets you securely and anonymously share files of any size. It works by starting a web server, making it accessible as a Tor Onion Service, and generating an unguessable URL to access and download the files. It does not require setting up a separate server or using a third party file-sharing service. You host the files on your own computer and use a Tor Onion Service to make it temporarily accessible over the internet. The receiving user just needs to open the URL in Tor Browser to download the file. 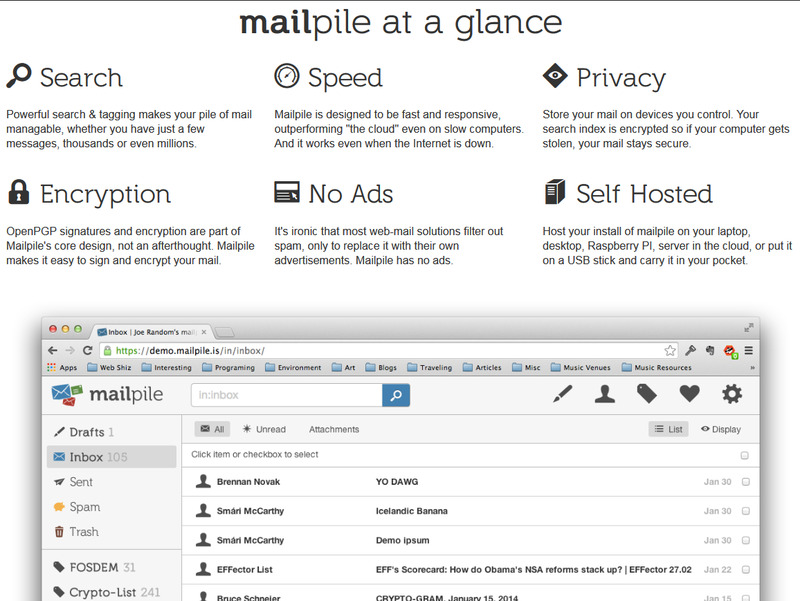 Mailpile is a modern, Open source ,fast web-mail client with user-friendly encryption and privacy features. It feature OpenPGP signatures and encryption , It is self hosted which means you can host your mailpile on your own laptop,Raspberry PI. 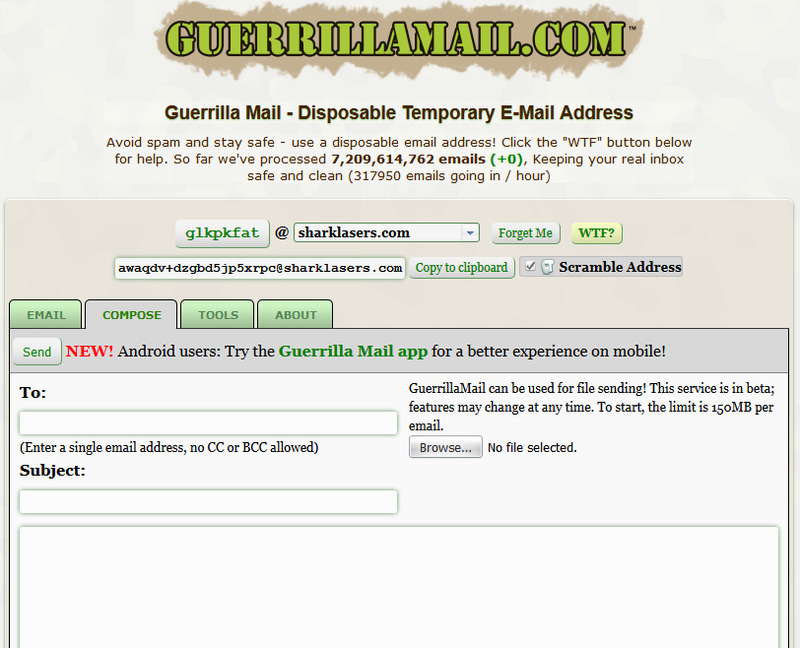 It also protects your privacy by encrypting and sign your mail and also your search index. 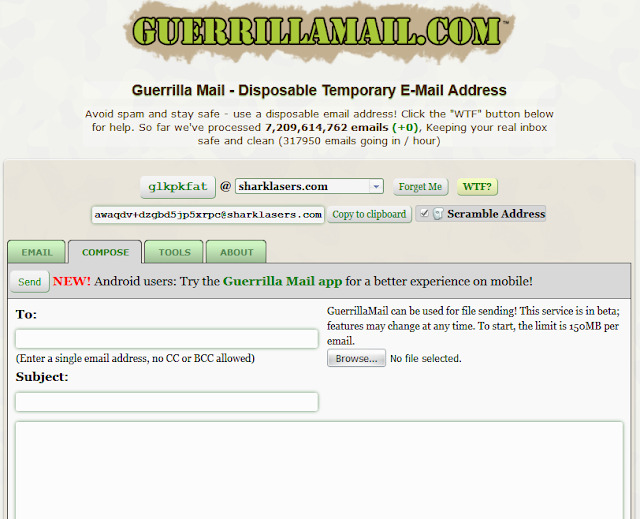 Guerilla Mail is a free anti spam Disposable Temporary E-mail service, it allow you to create temporary email for registering on some site so that they can’t spam your personal working email as you are using temporary email all their spam mail will go to this email client. You can also compose email if you want to send Anonymous mail to someone without using your original Email address, remember they also log your IP address. Mailvelope is Open source software which provide end-to-end encryption of email traffic inside a browser. 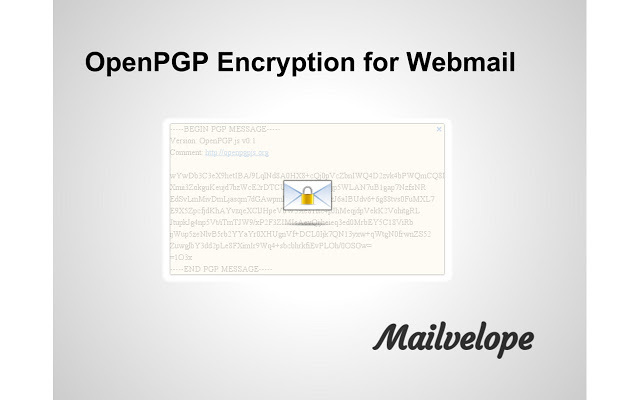 You can encrypt any mail and attached file using OpenPGP standard without using any third party email client. 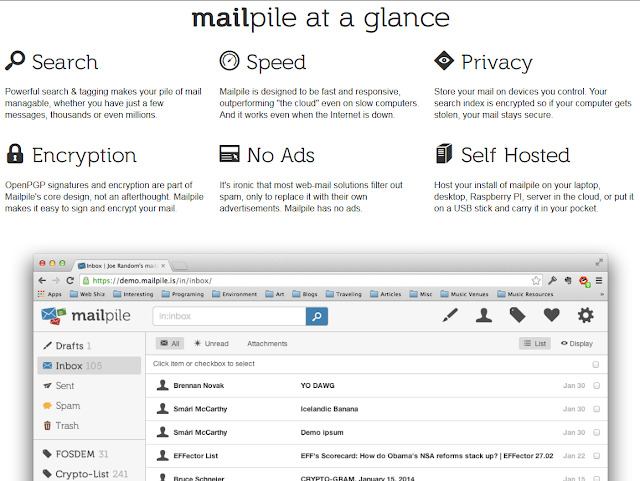 Mailvelope is an easy way to secure emails from government surveillance and other intruders. OpenPGP Studio is a free desktop tool that makes it easy to protect sensitive files with OpenPGP, a popular encryption standard. Conventional encryption methods use a single key or password to encrypt and decrypt information, while OpenPGP uses a safer dual-key (asymmentric) system. VeraCrypt is an open-source utility used for on-the-fly encryption .It can create a virtual encrypted disk within a file or encrypt a partition or (in Windows) the entire storage device with pre-boot authentication. Which means every time you or someone want to access the file stored on the system drive will need enter correct password before booting the Windows. It can also encrypt the entire partition such of your Hard drive and storage devices like USB . 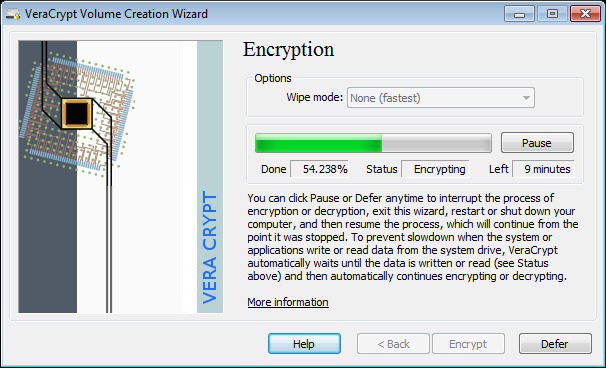 Encryption using Veracrypt won’t effect on speed, your data will be read and written same as it was before encryption. DBAN is Open Source software which was designed for securely erasing a hard disk using pseudorandom numbers until the data is on the hard disk in unrecoverable. This is a great tool if you have sensitive data on your hard disk and don’t want it to be accessed by anyone. You may know when you delete a file from your hard drive your operating system does not actually delete it, it only removes the pointer or reference of the file from its file system table until you store other file on that location, but after that your files still can be recoverable by studying the magnetic filed on disk surface. So what Eraser does it allows you to completely remove your sensitive data by overwriting it several time using carefully selected patterns which make your file nearly impossible to recover and protect your privacy and data from going in some bad hands. So this was some tools which i have used and still using to protect my online privacy and securing my personal data. It doesn’t mean we still can’t get hacked ,hacker are developing new tools and techniques day by day to breach data and people privacy so it is really important for us to stay aware of this cybercrime techniques so that we can mitigate different type of network and cyber security attack. This was great article. I never knew so many tools existed.